The Fresh Market is opening a new store at the Mallard Crossing Shopping Center, in a 30,000-square-foot building that used to be a Food Lion, a local leasing agent said. The store will be the fourth Fresh Market in the Charlotte area. An opening date wasn't immediately available. The Fresh Market operates more than 150 stores in 26 states, and is pushing to expand throughout the country. The upscale supermarket company, founded in 1982, is headquartered in Greenboro. The Mallard Crossing deal was brokered by David Hendrick of Collett, representing the landlord, while Julie Gardner of Katz & Associates represented the landlord. The "SouthPark Shuffle" might be the new dance of the season, as the region's largest mall continues moving existing stores and adding new retailers. First, the new stores. As we reported a few weeks ago, Armani Collezioni is opening a 3,000-square-foot SouthPark store near Nieman Marcus this summer, offering ""timeless elegance for men and women." Here's what the mall says about the new store: "Armani Collezioni, a sub-label of Italian fashion house Giorgio Armani aimed at a generation of fashionable consumers, will launch its brand in the Southeast at SouthPark." Lush will open a 697-square-foot store in the malls center court in May, the makeup retailer's first in Charlotte. The British company sells handmade cosmetics. "Since LUSH arrived on the scene 19 years ago, its philosophy has always been to have the least possible impact on the environment, while still producing effective and innovative beauty products. From fresh cleansing rolls at the skin care bar to piles of fragrant Bath Bombs, shoppers are encouraged to choose their cosmetics personally at LUSH." Sur La Table is moving to a 6,000-square-foot store in the Dillard's wing, next to Express, in May 2014. The store "will overflow with epicurean inventiveness and detail designed to inspire both gastronomic experts and novices alike." Kate Spade New York is relocating to a 2,122-square-foot store in the Nordstrom wing, next to David Yurman. Mori Luggage and Gifts is moving to a 2,000-square-foot store next to American Apparel, by the mall's main entrance. The Limited is remodeling its 5,000-square-foot store in the Macy's wing, next to Journeys. The remodel will be complete in June. And Häagen-Dazs, Auntie Anne's, Nestle Toll House Café and Planet Smoothie are all relocating in May within the food court as they move to make room for the new H&M apparel store. So, if you want to see all this on a map, here's a link to the map of SouthPark (Warning: It's small). A new store offering 45,000 varieties of light bulbs and batteries opened recently in Concord, the second store for local franchisee Richard Rettammel. Batteries Plus Bulbs is open in the Afton Ridge Shopping Center, off I-85. Rettammell also operates a store in Huntersville. Here's a little about the store, in case you're not familiar: "Batteries Plus Bulbs stores offer thousands of batteries for thousands of devices, ranging from common items such as watches, cars, digital cameras, laptops and cell/smartphones to those hard-to-find batteries for old toys and novelty or obscure electronic devices...Batteries Plus Bulbs’ light bulb products include everything from the common recessed lighting, track lighting, incandescent and LED options to extraordinary, highly-specialized light bulbs for cars, healthcare equipment, aquariums, projectors, and much more." Atlanta-based Roark Capital Group owns Batteries Plus Bulbs. The private equity firm also owns companies such as Cinnabon, Moe's Southwest Grill, Arby's and Massage Envy. The Concord store is managed by Rettammel's son, Tim. "He started working with me every Sunday when I first opened the Huntersville store and knows everything about the business from lighting to specialty batteries," said Rettammel, in a statement. Walmart is turning more of its firepower on supermarkets and dollar stores - two rivals that have been taking a chunk out of the mega-retail chain's "supercenters" - with plans to accelerate small-store openings. The company said last week it plans to double the number of small stores it opens this year, to between 270 and 300 new stores. They will be a mix of grocery and dollar store-format locations. In Charlotte, that could mean more Neighborhood Market stores, which are about the size of a traditional supermarket and feature Walmart goods and prices. The company opened its first local Neighborhood Market last year on Independence Boulevard, next to Super G Mart. And Walmart has plans to expand with more Neighborhood Markets in the area, including in Rock Hill and Concord. There are currently 346 Neighborhood Market stores in operation, and their expansion presents a challenge to existing grocers, such as Kroger-owned Harris Teeter and Food Lion. The new Walmart Neighborhood Markets also illustrate the diversity of challengers coming to the Charlotte grocery market: Two more Whole Foods, Publix, increased food in Target. The number of grocery stores appears to be outpacing the growth of Charlotte's population. And the Walmart Express stores are a direct challenge to discount retailers such as Matthews-based Family Dollar. For now, there is a very limited number of them nationwide, only about 20. That compares with more than 8,000 Family Dollar locations. So why is Walmart speeding up its small-store program? Because that's where a lot of the growth is, executives said. Neighborhood Market stores had 4 percent increases in comparable store sales last year, while Walmart as a whole has been struggling with flat or declining comparable sales. "Neighborhood Market is performing comparable or favorable to leading grocers,” said Walmart U.S. president Bill Simon, in a statement. “Our small store expansion, in addition to providing customers access to a wide variety of products, including fresh, pharmacy and fuel, will help us usher in the next generation of retail. This will combine thousands of points of physical access with digital retail experiences that include initiatives such as Site to Store and Pay with Cash." But lest you think Walmart is giving up on its supercenters, take heart: The company still plans to open 115 new big-box stores this year. Publix Super Markets was ranked top for customer satisfaction among grocers, according to the latest American Customer Satisfaction Index released last week. The Florida-based company plans to open its first-ever store in Charlotte on Wednesday, on Providence Road West in Charlotte. Publix plans to follow that first Charlotte store up with an aggressive expansion, with more than a dozen sites in the area. Publix scored an 86 on the ACSI, its same score as last year. As a whole, supermarkets averaged a score of 78 based on the annual survey of thousands of consumers. The ACSI includes factors such as convenience, freshness, price, selection of merchandise and helpfulness of staff. Kroger, which recently acquired Harris Teeter, followed Publix with a score of 80. Whole Foods came in third with a score of 78. Here are some of the other notable details, quoted from the report: "Whole Foods suffers its first decline in 6 years, dropping by 3% from 80 to 78. Wal-Mart’s supermarket business is unchanged at a low score of 72, much below the rest of the category. A decade of low customer satisfaction ratings demonstrates that low price does not does compensate for quality, neither in merchandise nor in service." What do you think? Who would you rank No. 1? The Olive Tap, an upscale retailer selling olive oils, balsamic vinegars and more, plans to open its first Charlotte location soon in Ballantyne. The store is at Ballantyne Commons Parkway and Johnston Road. A representative said an opening is planned for the next two to three weeks (You can follow the store's Facebook page for more updates). Here is the store's description: "The Olive Tap is a specialty retail store that sells olive oils, balsamic vinegars, tapenades, bread dipping spices, condiments and sauces, serving accessories, cookbooks, gift baskets and related products. Olive oils and vinegars are set out in steel containers called “fustis” and are available for tasting by customers. Founded in 2006, The Olive Tap is one of the largest and most exciting olive oil and balsamic vinegar specialty stores in the U.S. The Charlotte franchise store is owned and operated by Langston & Barnes Foods, LLC." The Olive Tap joins a roster of Charlotte stores specializing in olive oils that includes New World Olive Oil, Olive This and Pour Olive. Three Charlotte-area Off Broadway Shoe Warehouse stores are being spiffed up, part of the company's broader store renovation program. The stores at Concord Mills, South Boulevard and Northlake Mall are all part of the upgrade program. Here's a little about each store and what's new there. The Concord Mills store will now be a flagship location for Off Broadway. The store reopened on Feb. 10. Off Broadway added: "Major investments in new lighting – with warm color output – updated flooring and beautiful, loft-like exposed brick walls all work together to enhance the ambience, while showcasing the merchandise in an appealing manner." The South Boulevard store's upfit will be complete on Feb. 24. Says Off Broadway: "This site features many of the updates that the Concord Mills store has received, except for the lighting renovations, which will occur later this year. The remodel also complements the improvements that are happening in and around the South End neighborhood." The Northlake store has upgrades that will be visible starting March 1, Off Broadway said. Customers "will notice new flooring that is on-trend for today’s retail environments, as well as industrial-inspired exposed brick walls as part of the store’s updates. Both enhancements add character to the in-store environment for new and returning customers." The Concord Mills Off Broadway Shoe Warehouse store, courtesy Off Broadway. Stores in the Kansas City and Washington, D.C. areas will be remodeled next, the company said. After a couple of delays and false starts, the new H&M store at Carolina Place is set to open Feb. 27, the company said. The 17,000-square-foot apparel retailer will open at noon. In Charlotte, H&M has a store in Northlake Mall and is building a third location at SouthPark mall. The first 100 customers in line will get a free H&M t-shirt and a gift card worth $10 to $300, H&M said. The company had initially said it planned to open its Carolina Place store in December, then pushed the opening to January and finally back into February. 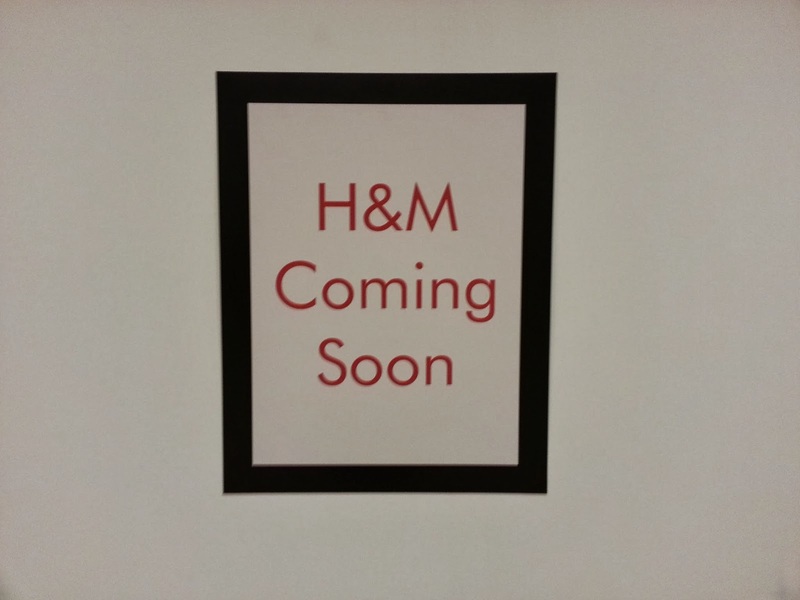 Building permits show the store cost about $2.3 million to renovate for H&M. Two new apparel stores are headed to Concord Mills soon: Torrid and J. Crew Factory. Torrid is set to open in May, near Concord Mills' Old Navy Outlet store. The retailer specializes in women's apparel ranging from size 12 to size 18. "Stylish shoppers in search of undeniably-fabulous plus-size apparel and accessories will flock to take advantage of Torrid’s on-trend clothing, sleepwear, footwear, intimate apparel and more," the mall said, in a statement. J. Crew Factory will open this summer, near Off Broadway Shoes. According to the mall's press release, the store "will help Concord Mills shoppers perfect their preppy chic look with fun ready to wear pieces, bold-colored basics and casual classics for men and women. This family-friendly new addition will also feature crewcuts, the brand’s coveted children’s line featuring trendy “mini me” looks in sizes 2 to 14." Previously announced new stores opening at Concord Mills include children's apparel retailer Janie and Jack Outlet in May and trendy apparel retailer Buckle in July. "This is an exciting time as Concord Mills continues to enhance its already celebrated collection of popular brands,” said Ray Soporowski, Concord Mills' general manager , in a statement. Austin-based Whole Foods is in the midst of a growth spurt - one that includes two new stores in Charlotte - but the specialty retailer is disappointing some investors with its results. But as Whole Foods announced it now plans to expand from 373 stores to 1,200 over the coming years, analysts were also asking about another problem: Sales cannibalization. Whole Foods executives acknowledged that the wave of new stores can cut into sales at existing stores. But they said they expect it will pay off in the end. "These urban markets, we're able to cluster our stores closer together, and although there is a short term cannibalization effect that of course hurts (comparable sales)," said one executive during last week's earnings call. "We see when the stores anniversary, that the stores that were cannibalized come back with very strong (comparable sales)." Locally, Whole Foods has a store in SouthPark, and is building a second supermarket in Huntersville. Last week, Whole Foods announced it plans to build a third store in south Charlotte in the Waverly development on Providence Road. The south Charlotte store is about a 10 mile, 15 to 20 minute drive from the SouthPark store. It looks like Whole Foods is betting that there is enough demand south of I-485 to justify putting another store in that radius. So, what do you think - is there enough demand in Charlotte to sustain another two local Whole Foods stores? Whole Foods said Thursday that it plans to open its third Charlotte-area store at Providence and Ardrey Kell roads, just south of I-485. The store is planned for the Waverly development, a project being built by Crosland Southeast and Childress Klein Properties. The 40,000 square foot store is slated to open in late 2016, the developers said. The store requires rezoning the property, and the developers said a hearing is set before Charlotte City Council on March 17. Waverly is set to include 250,000 square feet of retail space total, with Whole Foods as the anchor tenant. Incidentally, the Whole Foods would be practically across the street from the Harris Teeter in the Rea Village Shopping Center, at 11516 Providence Road. This store would be the Charlotte area's third Whole Foods location. The specialty grocer has one store on Fairview Road in the Southpark area and is building a second store on Sam Furr Road in Huntersville. That location, in a former Food Lion, is set to open in late summer. Gro, a new Greek restaurant serving food in a Chipotle-like way, has opened in Matthews. The store is in a shopping center at Weddington and McKee roads. It's the product of Nick Tzefos, Vaki Karampourniotis, Jimmy Clonaris and Bill Kortesis. "We're four friends, all Creek Orthodox," said Karampourniotis. He said they grew up together, played sports and went to church as a group. They also have a background in the restaurant business - three of their parents own restaurants. They stayed close as adults, and ended up deciding to open a restaurant serving healthy food they're familiar with. "We grew up on Greek food," said Karampourniotis. He said the focus is on healthy food. House-made pita and tzatziki sauce, lean meats and simple seasonings dominate the menu. "You're going to feel full, but not where you want to take a nap after," said Karampourniotis. "Our proteins are lean meats, pork, beef, chicken breast, simply seasoned with seasonings and lemon juice." Legacy Real Estate Advisors is representing them. Gro is looking for two or three more locations to open this year, said David Tschirhart of Legacy. Multi-merchant home furnishing company Alexander Scott is now open in its new Myers Park location, co-owner David Newcombe said. The store had been on East Boulevard, near South Boulevard. The new location is near the Harris Teeter at Providence and Queens (yes, the really big one), in the former Paul Simon store. Newcombe previously told the Observer that the store moved to be closer to its core client base, many of whom live in Myers Park and Eastover. "We're not on their beaten path," he said of the East Boulevard location. "We're going to go to their neighborhood so we can be more accessible to them." The new location is also smaller, with space for 25 vendors instead of the previous 70 at East Boulevard. Newcombe said that allowed the store to pare down its goods to the best-sellers and highest-quality items. Tide, the Procter & Gamble detergent brand, has opened a dry cleaning store in Charlotte. The store is Tide's first in North Carolina, and 20th location nationwide. Local franchisees and brothers Henry and David Atkins own and operate the store. The store is in The Arbors shopping center off West Mallard Creek Church Road, in northeast Charlotte. Tide Dry Cleaners® is an innovative extension to one of our core brands, building on Tide’s 65-year history in fabric care. These free-standing, Tide-branded professional dry cleaning stores target the majority of consumers who are unsatisfied with their dry cleaning experience. The concept was proven successful in a two-year test of stores in the Kansas City area. Tide Dry Cleaners is currently being expanded across the United States through individual entrepreneurs and franchisees. The store also has 24-hour drop off and pickup options for customers who can't come during business hours, drive-thru service and "dry cleaning that carries the scent of Tide." New customers will get 50 percent off their first order, the company said. The latest SouthPark rumor in circulation is that Bloomingdale's is planning to open a store in the mall, replacing the Macy's store there. "South Park Mall is about to add Bloomingdale’s to its tenant mix. Sources tell Restaurant Traffic that the New York based department store has been looking to open the first Bloomingdale’s in the Carolina’s for years and the South Park Mall made the most sense. Macy’s is the parent company of Bloomingdale’s so speculation is whether they take over Macy’s, which is a mid-range department store, or another South Park location." "As general corporate policy, we do not comment on leasing speculation," said mall management, in an emailed statement. So, is it for real? There don't appear to be any building permits related to it at this point. Charlotte Restaurant Traffic predicted an H&M at SouthPark, and while it was a long time before that prediction came to fruition, it was correct. I'll file this one under the "wait and see" category, unless someone has more concrete information (email me!). Salisbury-based Food Lion is rolling out an online coupon tool, giving the company a competitor to Harris Teeter's e-Vic program. Called MVP Coupon Hub, the website lets customers see Food Lion's weekly specials and receive manufacturer coupons. Customers have the option of either printing the coupons and taking them to the store, or loading the coupons to their MVP card, where they'll be redeemed at checkout. The coupons are searchable and sortable by expiration date and value, the company said. Food Lion is a subsidiary of Belgian grocery conglomerate Delhaize. The company has about 1,100 stores in the U.S., and has been working to catch up with competitors by offering lower prices and better fresh produce offerings. 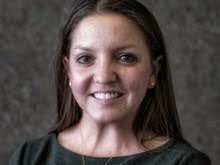 Spokeswoman Erin DeWaters said the company has been working on the MVP Coupon Hub for several months. She said it's meant as a complement to Food Lion's circular. "Retailers often times have good digital or good print (coupon offerings), and this really enables us to have both," she said. While DeWaters said the MVP Coupon Hub will give Food Lion access to more customer data to analyze, "That's not a particular goal." A different twist on the MVP Coupon Hub is that customers will be able to log in with either their MVP account information or a Google account. "When customers log in to MVP Coupon Hub using Google, they’ll need to confirm that it’s okay for the app that’s used to access information like their email address and basic information," said DeWaters. Not to harp on SouthPark mall this week, but there are a lot of changes afoot at the region's largest shopping mall tied to the impending arrival of apparel retailer H&M and American Girl and the reshuffling of other stores. The changes are most evident in the Macy's wing, where both the new stores will be. I snapped a couple of pictures this weekend while doing my ultra-stylish shopping (men's hats 75 percent off at Belk!) that show some of the changes. 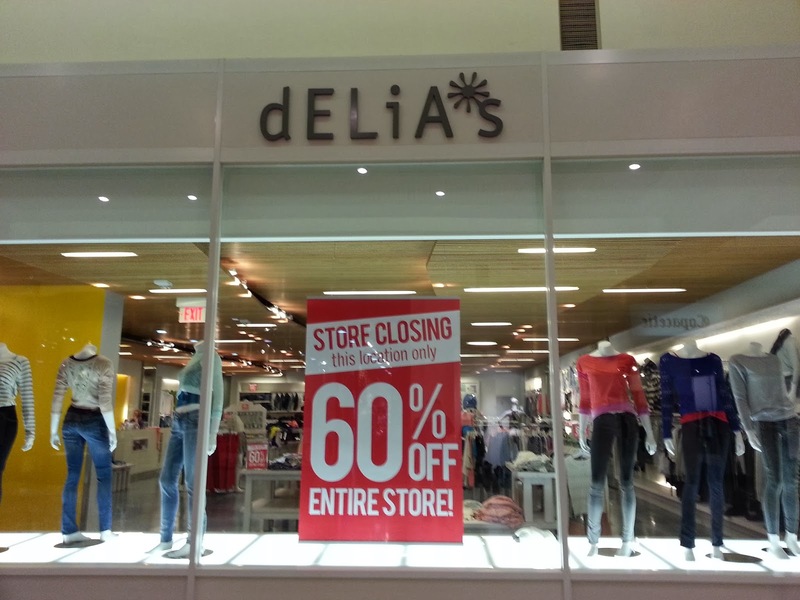 Delia's is closing, with a 60 percent off sale to move merchandise. Hallmark is gone. Copacetic, a clothing boutique, is having a moving sale, and several other nearby stores are offering steep discounts as well. All of that is in addition to the new Armani Collezioni store going into SouthPark's former Ralph Lauren space, and the pending relocation of Sur La Table. Construction is set to begin soon on a new shopping center in Indian Land, known as Six Mile Commons II. The shopping center will be located in front of the Walmart on Highway 521, near the state line. It's set to be 7,000 square feet. Mattress Firm will occupy 4,880 of those square feet, developer Merrifield Patrick Vermillion said. The company will break ground in the first quarter. Six Mile Commons I features tenants including Krispy Kreme, Gamestop, GNC, Verizon, Marco's Pizza, NV Nail Salon and Friendly Neighborhood Dental Center. Florida-based Publix Super Markets is opening its first Charlotte store on Feb. 26 at 7 a.m., the company said Monday. The store is in Ballantyne, at 11222 Providence Road West, is Publix's first in North Carolina. The retailer plans to open a slew of additional stores across the state in the coming years, including a dozen more in the Charlotte region and stores in Asheville, Cary and Winston-Salem. Publix will be going head-to-head with Kroger, the nation's biggest standalone supermarket and new owners of Harris Teeter. Publix also faces competitors such as Food Lion and Walmart, specialty food retailers such as Whole Foods and Earth Fare, and steep discounters such as Aldi. Building permits show the new store cost more than $4.2 million to construct. Armani plans to open a store in SouthPark mall this year, in the space formerly occupied by the Ralph Lauren store. There's no exact date for the store opening yet, but a spokeswoman for SouthPark confirmed the project (And thanks for the tips, alert readers!). The Ralph Lauren store closed in May last year. The new store at SouthPark will be an Armani Collezioni store. Building permits haven't been pulled yet, but the project is still viewable on the county's website here. Armani Collezioni will join a new lineup of stores at SouthPark that includes apparel retailer H&M and kid favorite American Girl.